Photo by Leslie V. Case. Used by permission of the Tarrytown Historical Society. Photo by Leslie V. Case. 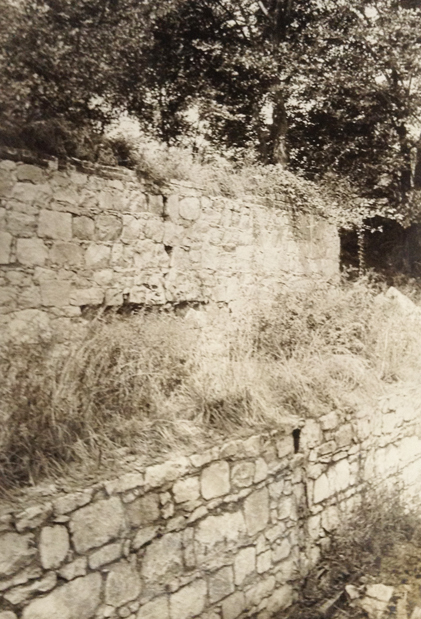 Used by permission of the Tarrytown Historical Society. attributes the wine cellars to the Teller family. 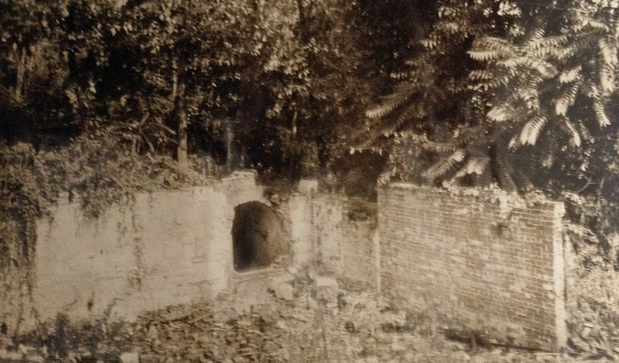 These undated photographs—probably taken in the 1920s or 1930s—show portions of what was then the ruins of the Underhill wine cellars on Croton Point. They were made by Leslie V. Case, who was superintendent of the Tarrytown Schools for more than 30 years. The photographs are glued to the pages of one of Case’s scrapbooks, now in the collection of the Tarrytown Historical Society, which has graciously given us permission to share them. from a newspaper clipping in the files of the Tarrytown Historical Society. Used by permission. The Grape King of Croton Point, features two color prints of the grapes that made Richard T. Underhill famous. You Need Not go to the Rhine to See Vineyards, is an 1859 account of a trip to Croton Point, which gives us tantalizing details about the scope of Underhill’s business. The Underhill Vineyards, 1867 has details from a full-page wood engraving of the Underhill vineyards, published in Harper’s Weekly in October 1867. 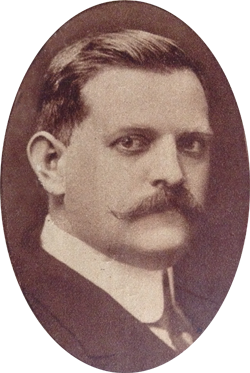 R. T. Underhill—Doctor, Winemaker, and Investor in the First New York City Elevated Railway, which uncovered Richard T. Underhill’s involvement in the West Side and Yonkers Patent Railway Company, the company that began the New York City transportation system.